Like more than half of all Canadian adults, Roger did not have a will. As a child, he had been adopted into a wealthy family and, although he loved them deeply, he struggled to form a strong relationship with his siblings. When their father also died, Roger and his siblings each inherited a significant fortune. Roger discovered his siblings squandered theirs, which he felt was shameful and did not honour their father’s hard work. He mentioned to a friend that he had not yet drafted a will. He had never married, had no children, and had just never gotten around to it. His friend warned him that without a will, he might be shocked at how his estate would be managed. Since Roger was not married and did not have any children, if he died without a will his estate would default to using the legislation set out in his province. A general guiding principle is, “If a person does not formally indicate how they want his or her property distributed upon death, it is presumed that the person wants it to go to family members.” Roger was disturbed to realize that the fortune he had received from his father would be given to his siblings, who had misspent what they had already inherited. He also realized that not having a will prevented him from optimizing his estate’s tax efficiency. Even more alarming, he discovered that there would be absolutely no plan for donating anything from his estate to the charities that were near and dear to his heart. He made up his mind to do something about it and sought the guidance of Abundance Canada. Like Roger, many people only create their will when a crisis or life event grabs their attention and motivates them to put a plan together. However, a proactive and enthusiastic approach to estate planning is far more rewarding. 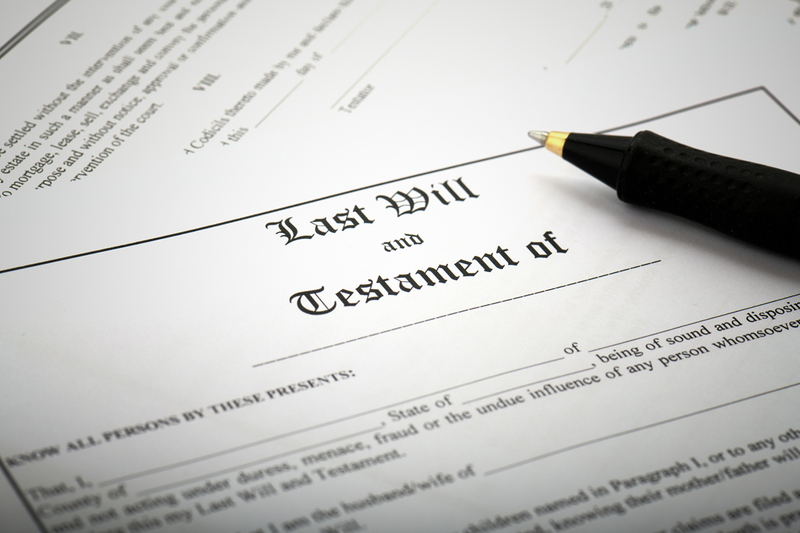 At its core, estate planning is an act of stewardship over all that you have been blessed with. It can be a delightful experience to take the time to reflect and carefully consider who will be blessed by the assets you have accumulated over years of hard work. Will and estate planning also provides an opportunity to share your values and help determine what impact your wealth will have in the world. After all, the greatest financial gift many of us will ever make is through our estate. Although focussed on the future, estate planning is a good starting point to establish strategic giving today. With a carefully-thought out plan in place, you can give during your lifetime, while creating a legacy that is in-line with your values. A donor-advised, charitable foundation like Abundance Canada can help you think strategically about giving, setting in motion a ripple effect of generosity that will continue to impact the world for many years to come. Peter Dryden is a Gift Planning Consultant at Abundance Canada. For more than 40 years, Abundance Canada has effectively helped Canadians with their charitable giving in their lifetime and through their estate. To learn more, visit abundance.ca or call 1.800.772.3257 to arrange a no obligation free consultation.